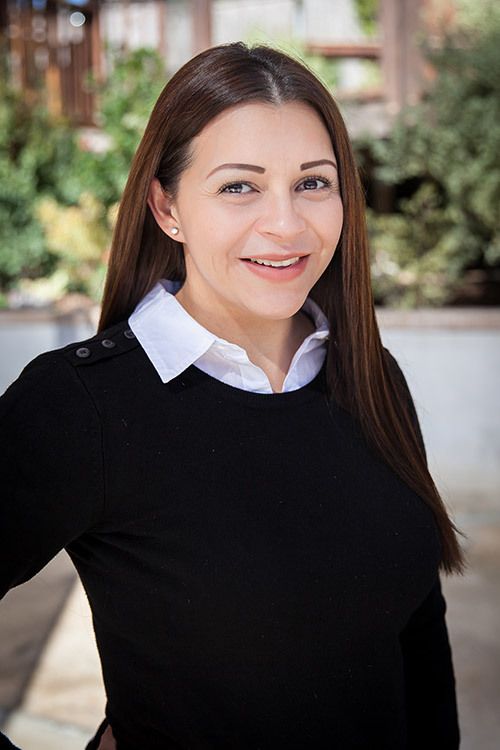 Olga was born and raised in Cali-Colombia, where she received her degree and masters in Law. 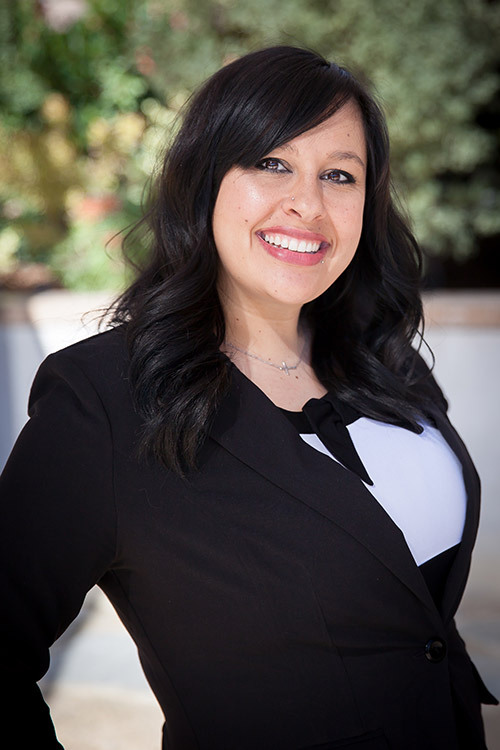 Olga moved to the United States and received her second masters in Law from the University of San Diego in 2007. Olga has been working in the field of Assisted Reproduction for almost 10 years. She entered this field from the legal side due to her training and education; however, she realized early on that the administrative side, coordinating egg donations and surrogacy journeys, was where her passion lay. Years of working with intended parents from all over the world and surrogates all throughout Southern California led her to the realization that surrogacy journeys should be managed more effectively. Specifically, providing a personalized experience for both the intended parents and the surrogates, while limiting the financial and emotional risks inherent to such procedures. Passion and commitment for making these life changing journeys a positive experience paired with an unwavering ethical devotion led her to creating GRACE, an agency dedicated to achieving the most positive experience for all parties involved in an assisted reproductive birth. Gaelle Vincent-Regan is a French native who has been living in the United States since 2006. She is originally from Nimes, France. She became a citizen of the United States in 2015. She has a master degree in Marketing from Montpellier Business School, in France. She obtained her public notary commission in California in 2016. Gaelle evolved in the hospitality industry for years developing management, logistical and sales skills but she has always wanted to find an occupation that would fulfill her desire to help people, an occupation with a purpose. She met Olga in 2008 and they instantly became friends. Olga shared her passion for surrogacy with Gaelle for years. It finally became obvious that both of them should work together and focus their energy and their passion towards the same goal.Gaelle really enjoys guiding people and helping them realizing their dream of becoming parents. Following the same line of thought, she has been involved in the Mexican community, south of the San Diego border helping build houses to the working poor.Gaelle is in charge of the marketing and also help coordinate the journeys for the people living in France, facilitating the communication in English with all parties involved in their surrogacy journey. A native of Menifee, California, Ashley Gray joined the GRACE staff in 2016. 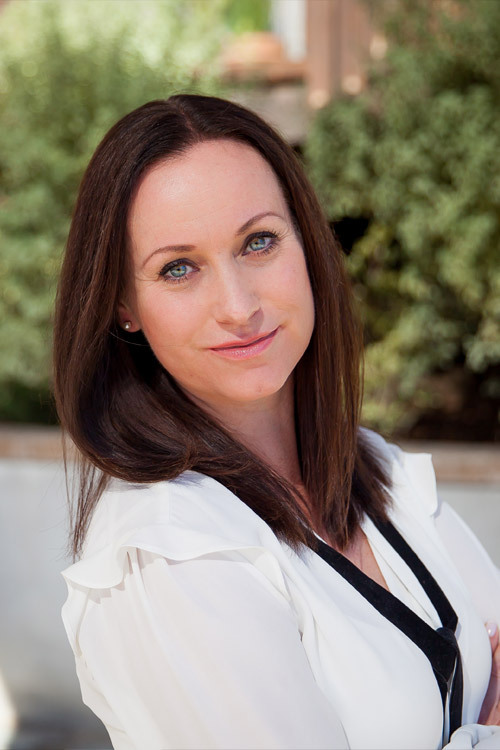 Ashley is no stranger to IVF, having completed 5 surrogacies herself as well as working previously as an IVF Medical Coordinator. Ashley has always had an interest in the medical field from completing her B.S. in Respiratory Therapy to obtaining her phlebotomy license, as well as becoming a certified Birth Doula in 2017. She also obtained her notary public commission in Nevada. As the Surrogacy Director for GRACE, Ashley works closely interviewing potential surrogate candidates, collecting and reviewing their medical records, assuring that the surrogates have or obtain medical insurance that offers coverage for their journeys as well as overseeing & assisting the Case Coordinators. Her main goal is that both the surrogate & the Intended Parents have a smooth, successful & enjoyable journey. Ashley always tries to make herself available to patients whether it is by phone, text or email. Ashley strives to make each patient feel as though she is personally vested in their case, because she truly does desire for their outcomes to be a success. Outside of the office, Ashley enjoys spending time with her husband & son, bowling, walking her beloved dog, dancing, and spending time with her mother. Ashley is very big on family time, believing that it is one of life’s greatest gifts, even noting that her son is her greatest achievement & is extremely grateful to be given the opportunity to help others achieve their dreams of family. Lenka was born and raised in the Czech Republic, and she has lived in the USA since 1998. Her studies in the Czech Republic prepared her well for her career as a case coordinator. She graduated from a High School specializing in secretarial work, then studied at the College of Economy where she earned a business diploma. Her studies taught her how to solve problems, be resourceful and take initiative when needed. She learned how to work independently and, in a team,but mainly she has been in constant touch with a variety of clients and she needed to engage them in a positive and constructive manner to meet their needs. Her last job, Fitness and Nutrition specialist, presents a good illustration of her attention to details and to the people she worked with. She coordinated a number of individual schedules for her clients, provided necessary information to them, maintain a systemic file system, manage computer data, and monitor, evaluate and document the whole journey of their training. Lenka was also a surrogate herself through GRACE, completing her surrogacy journey delivering the baby at 39weeks of gestation in November 2017, Lenka keeps a great relationship and an occasional contact with her former parent.Today, she sees that this amazing experience as well as her formal education and past career options prepared her for her current position of a case coordinator – a position she loves and that carry out her passion to benefit those who want to enrich their lives and this world with a baby of their own. MelissaCardenas who is of Mexican decenthas reside all her life in Southern California. 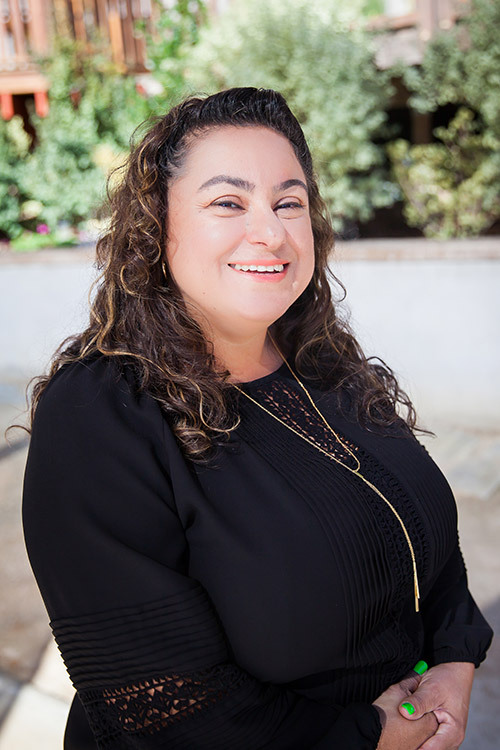 She studied at Imperial Valley College where she earned diplomas as a certified nurse assistant and medical assistant for both back and front office. She has worked in the medical field for over 10 years in different areas from a doctor’s office to a hospital setting. While Melissa is a new to the GRACE team, she has plenty of knowledge as well as experience with surrogacy. Her ability to learn quickly as well as think on her feet has enabled her to grasp the Surrogacy Coordinator’s position seamlessly. Melissa is a former GRACE surrogate, as her journey presented some medical challenges, she took those challenges and her medical knowledge to continue her journey in a positive and calm matter delivering twins at 34 weeks of gestation in November 2017. Melissa keeps a great relationship and an occasional contact with her former parents. The experience she has gained as a prior GRACE surrogate allows for her to empathize deeply with the intended parents as well as the surrogates. Erika Martinez who is of Mexican decent was born and raised in the United States. She has an A.A. in accounting, has worked in the medical field as office manager, as well as had the opportunity to work as staff accountant for a company who cares for the mentally challenged community. Her initiative, problem-solving and researching skills have allowed her to grow in her previous jobs.Erika and Olga met in 2010, working as part of the accounting team for a previous employer. Today, they are again working together helping couples build families.Erika is the office manager for GRACE and is committed to help all our clients have an easy, successful and stress less journey.